This is a fabulous new addition to our organic toy family. 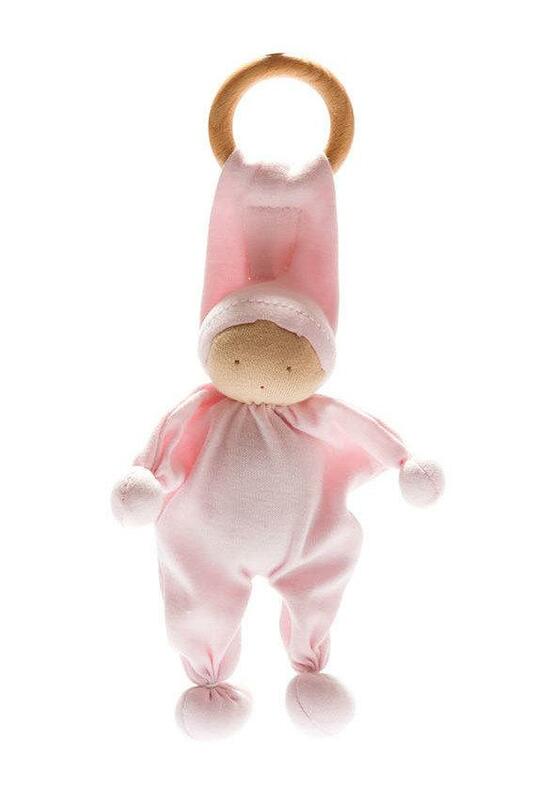 Soft organic comforter in soft pink, it also has a detachable natural wooden teething ring. Handmade, fair trade and 100% natural this is also great as a Montessori or Waldorf Steiner toy and a perfect Christening Gift. Measures 19cm high excluding teething ring and 7cm wide. Machine washable and suitable from birth, but please remove the teething ring before putting it in the washing machine.